120 years. 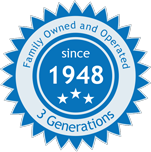 That is how long Swarovski has been in the business of creating beautiful crystal products. In honor of their 120th Anniversary, Swarovski has released two new product families – Edelweiss and Infinity – as a part of their Pre-Season Fall/Winter 2016/17 launch. The edelweiss is a short-lived mountain flower grown in the Alps. Part of the daisy or sunflower family, it is known for its rugged beauty and purity, and has become a national symbol of Austria. 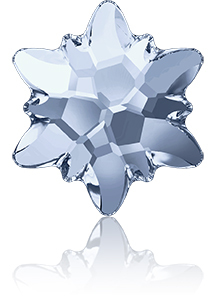 The edelweiss was adopted as Swarovski’s first logo in 1895. 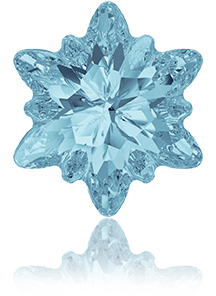 This new collection showcases Swarovski’s craftsmanship, as they recreate the delicate edelweiss flower as brilliant 3D crystal masterpieces. As floral or nature-inspired designs continue to be trend drivers, the Edelweiss Collection offers a vintage look with a modern twist. 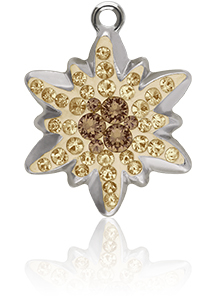 Use together or separately, for a truly sparkling design! 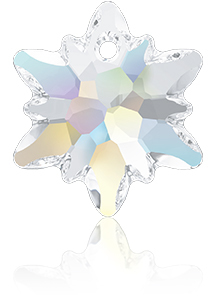 It is also available in a partly frosted version #4753/G where select facets are frosted thereby illuminating the complexity and depth of the crystal. 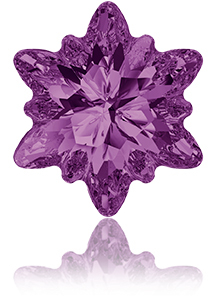 A fancy stone setting for this is also available #4753/S. Edelweiss Flatback Hot Fix Rhinestones #2753HF. It is also available in a partly frosted version #2753/G and #2753/G HF. It is also available in a partly frosted version #6748/G. 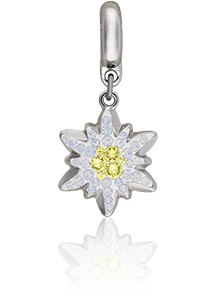 Available in a few different color combinations reminiscent of the edelweiss flower, each Pave Pendant is unique. Each stone has in fact been set by hand! 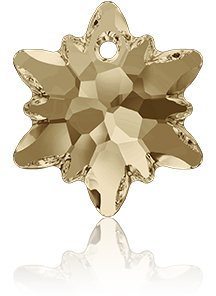 The high craftsmanship of this pendant is a true testament to Swarovski’s core values. So delicate and beautiful, the Edelweiss Pave Charm is a lovely addition to any add-a-charm design or used as a single drop. 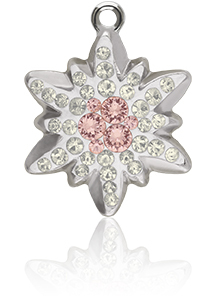 Each of the colors available mimics the true colors of the edelweiss flower. 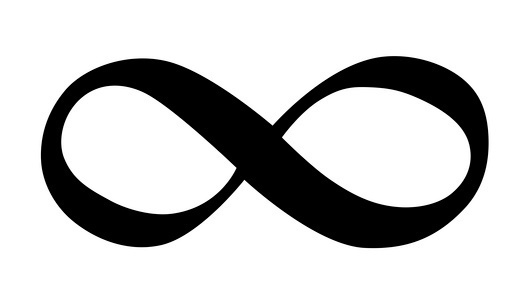 The infinity sign is traditionally mathematical symbol known throughout the world that represents the concept of infinity – with no beginning and no end. 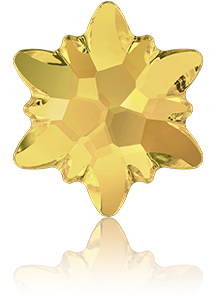 Swarovski has taken this ubiquitous symbol and crystallized it into a sparking design. 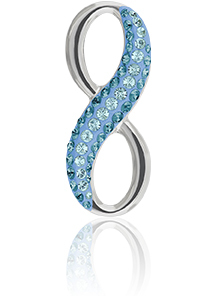 The infinity sign has been used as a decorative design for years in tattoos, art, jewelry and fashion. Swarovski is taking it to the next level. It symbolizes eternity in love, friendship and hope. While these are both “technically” pendants, we see unlimited application possibilities. 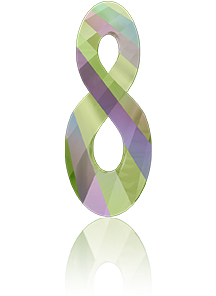 The Swarovski Infinity Pendant is faceted and made exclusively of crystal. Its shape, featuring large holes, lends itself to easy application; from sewing to beading to wiring to stringing, using a materials of varying thickness. This beautiful Pave Infinity Pendant is quite unique. The popular infinity pendant has been reimagined with small Swarovski crystals housed within a metal casing. 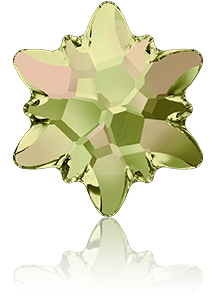 Available in several different color combinations and sizes, each piece has the Swarovski name set in the back of the pendant. For more information on the Swarovski Pre-Season Fall/Winter 2016/17 innovations or to purchase any of these new Swarovski styles, please visit our website: www.harmanbeads.com.